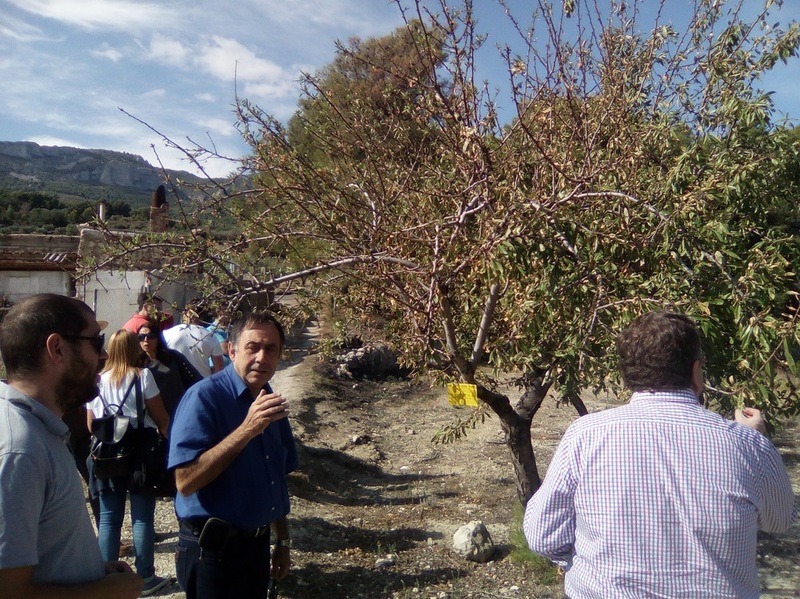 THE DAY AFTER THE INTERNATIONAL SYMPOSIUM OF VALENCIA, A GROUP OF RESEARCHERS INVOLVED IN XF-ACTORS AND PONTE PROJECTS VISITED THE DEMARCATED AREA FOR Xylella fastidiosa IN MAINLAND SPAIN. On September 28th, the Regional Government of Comunitat Valenciana and the Instituto Valenciano de Investigaciones Agrarias (IVIA) organized in Valencia (Spain) the conference “Current situation and perspectives of the diseases caused by Xylella fastidiosa in the Mediterranean Basin”. The conference was attended by more than 150 people, raised a lot of interest among stakeholders and it was massively followed by live streaming. Ppt presentations (click here) and findings (click here) of the conference are available (in Spanish language). 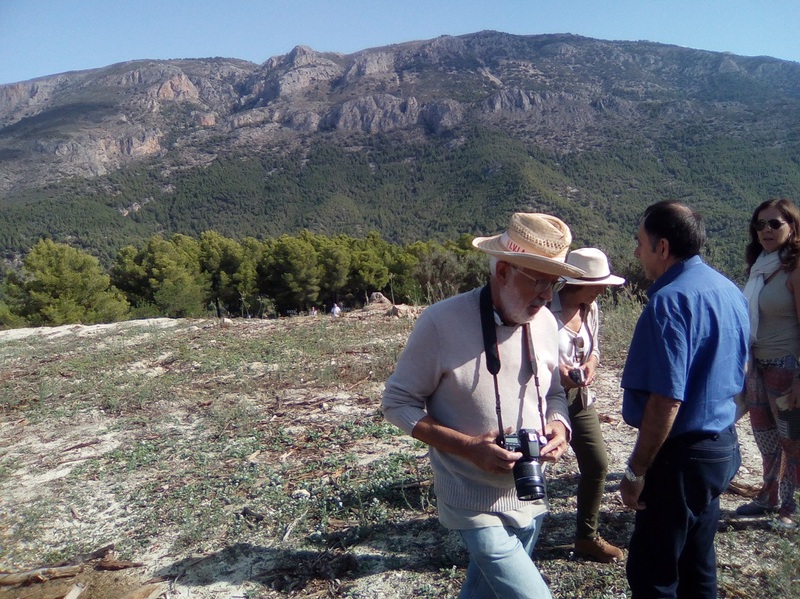 The day after the conference, some of the XF-ACTORS and POnTE researchers who gave talks at the symposium visited the demarcated area for Xylella fastidiosa in Alicante province. 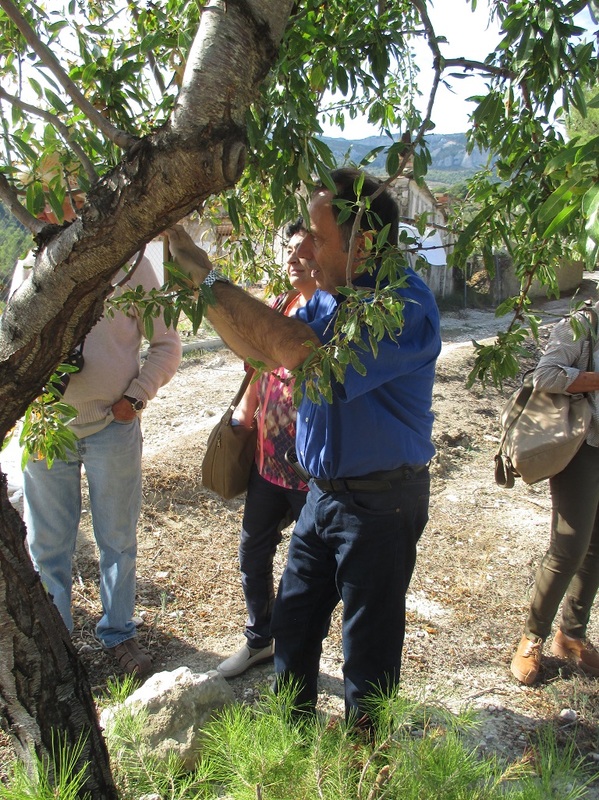 During the visit, the researchers had the opportunity to see by themselves how the measures established by the Commission Decision (EU) 2015/789 are being implemented in the demarcated area for Xylella fastidiosa. Fruitful comments and discussions were shared among scientists and plant health officials on the field side. The visit was organized by the head officials of the Plant Health Authority of Comunitat Valenciana. The coordinator of POnTE project, Dr Donato Boscia (IPSP-CNR), Dr Blanca Landa and Juan A. Navas from IAS-CSIC, and Dr Ester Marco and Dr Antonio Vicent from IVIA joined the field visit. 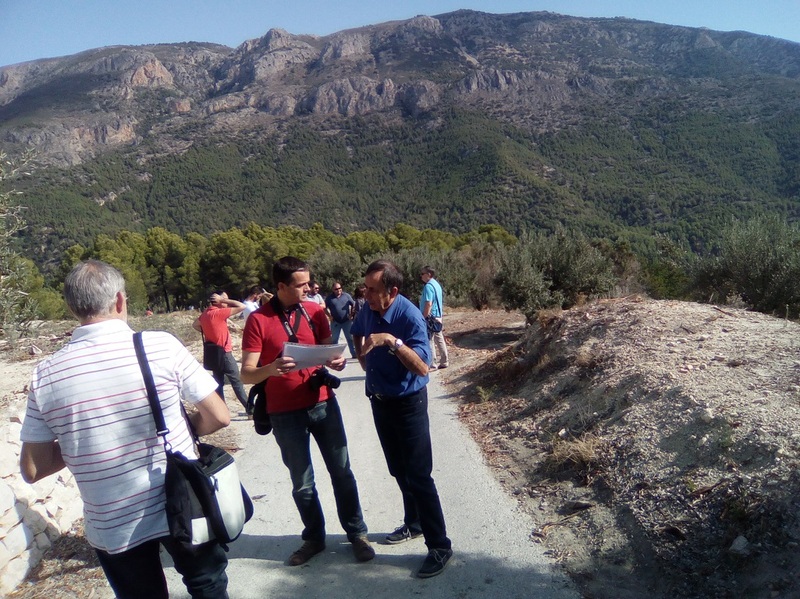 Dr Mariano Cambra and Dr María M. López from the Scientific Committee of POnTE and XF-ACTORS, respectively, also participated in the visit to the Guadalest Valley in Alicante.